Western Digital's inevitable Thunderbolt offering is missing solid state guts — and that hurts it a lot. But what it lacks in speed it makes up for in capacity. It's an enormous vault with more space than most humans will ever need. The Yucca Mountain of external hard drives — 6TB of storage in a RAID array, plus a Thunderbolt connection. Videographers and others who need a massive amount of storage that's quickly accessible. 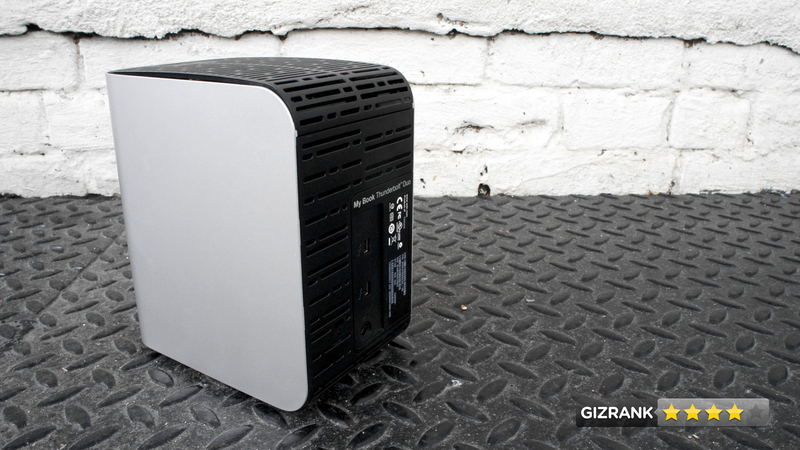 It's about as graceful as a big external hard drive with two bays can be. But there's a cheap-feeling pop-up plastic top to access the drives themselves. Plug it in, save your stuff, repeat. Stop if you reach 6TB. The Thunderbolt Duo is surprisingly speedy for something that uses old-fashioned mechanical drives. 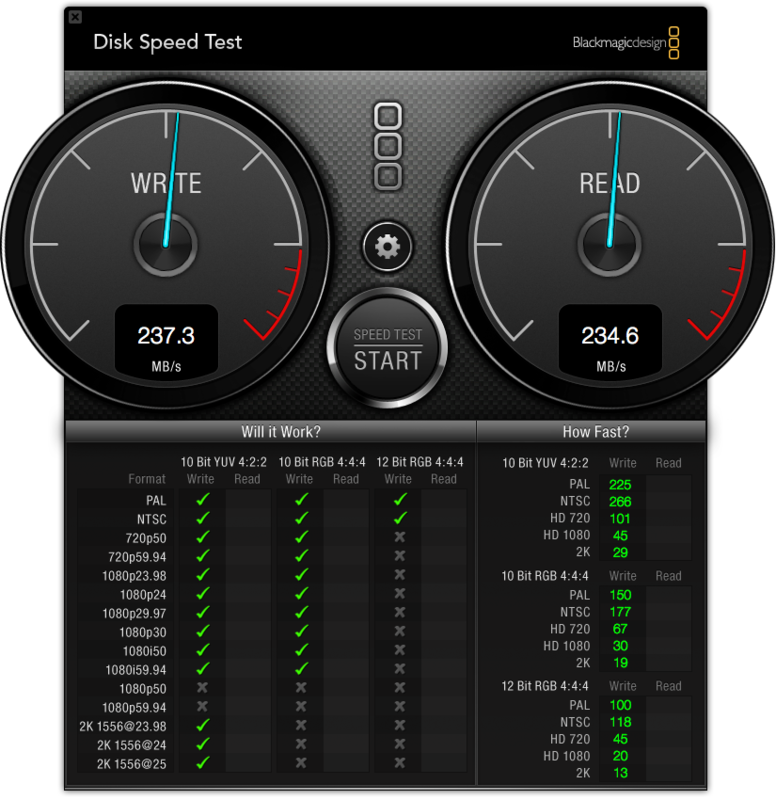 Synthetic testing showed the Duo with about the same write speed and half the read speed of the Little Big Disk (SSD), but a real-world test of moving a 19GB photo library told another tale: about three minutes to copy over, and about eight minutes to copy back to a MacBook Air's SSD. The Duo requires external power, which is always a drag. But it's expected, given its huge size. The way massive storage continues to shrink is the only weird thing about this hard drive. It's big, capacious and expensive — but if you absolutely need space above everything else, yes.